Jury says tobacco firm RJ Reynolds did not inform woman’s chain-smoking husband of risks before he died of lung cancer. A Florida jury has awarded the widow of a chain-smoker who died of lung cancer punitive damages of more than $23bn in her case against the RJ Reynolds Tobacco, the nation’s second-largest cigarette maker. The judgment, returned on Friday night in a Pensacola court, was the largest in Florida history in a wrongful death lawsuit filed by an individual, according to the woman’s legal team. 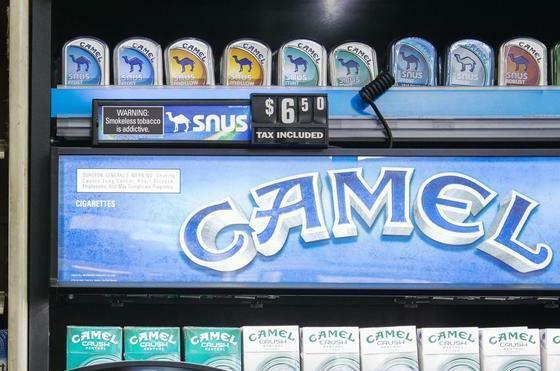 Cynthia Robinson, of Pensacola, sued the cigarette maker, whose brands include Camel, in 2008 over the death of her husband, Michael Johnson. Johnson smoked up to 60 cigarettes a day for more 20 years and died of lung cancer in 1996 aged 36. “He couldn’t quit. He was smoking the day he died,” lawyer Chris Chestnut told the Reuters news agency on Saturday. After four weeks of hearings and 15 hours of jury deliberations, the jury said that the tobacco company was negligent in informing Robinson’s husband that smoking causes lung cancer and that nicotine is highly addictive. Compensatory damages of $7.3m were awarded to the widow and the couple’s child, and $9.6m to Johnson’s son from a previous relationship. The jury also awarded Robinson $23.6bn in punitive damages, according to the verdict forms. Jeffery Raborn, the vice-president and assistant general counsel for RJ Reynolds, said in a statement quoted by the New York Times that the company planned to challenge “this runaway verdict”. “This verdict goes far beyond the realm of reasonableness and fairness and is completely inconsistent with the evidence presented,” he said. Such industry appeals are often successful. A $28bn ruling against the tobacco firm Philip Morris in 2002 was reduced on appeal to $28m. Robinson’s lawsuit originally was part of a large class-action litigation known as the “Engle case” filed in 1994 against tobacco companies. A jury in that case returned a verdict in 2000 in favour of the plaintiffs, awarding $145bn in punitive damages, which at the time was the largest such judgment in US history. That award, however, was overruled in 2006 by the Florida supreme court, saying that the group was too disparate and each smoker smoked for different reasons. However, the court said individual cases could be filed. The Florida high court also let stand the jury’s findings that cigarettes are defective, dangerous and cause disease, and that tobacco firms were negligent, meaning those issues did not have to be re-examined in future cases.